Making three digit numbers and using the greater and less than sign. We are learning to make the biggest number with some playing cards. 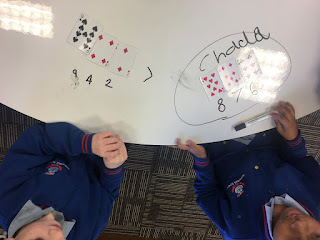 We each get a buddy and work out who has the biggest number. We use greater than or less than sign. We are making three digit numbers with a buddy in our class time. We are learning about greater and less than sign.